Get Your Squeeze Horns Here! 12″ Medium Loop Squeeze Horn Click photo for larger image. 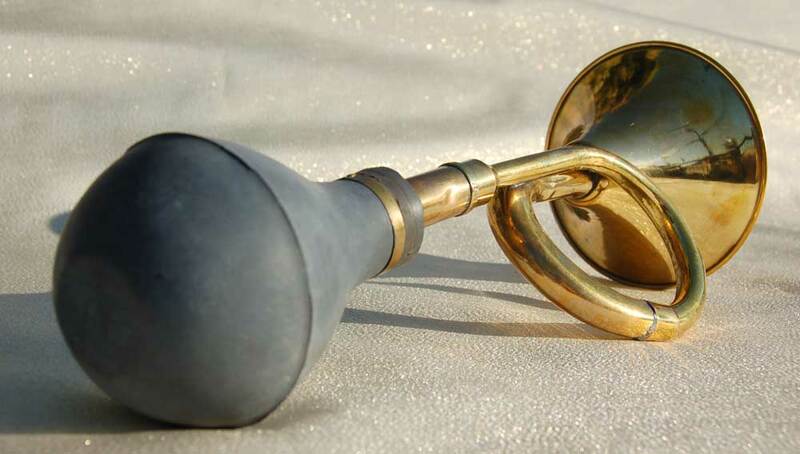 Beautiful hand made medium large brass plated squeeze horn with black bulb. 12 Inch Medium Loop Squeeze Horn Click photo for larger image. 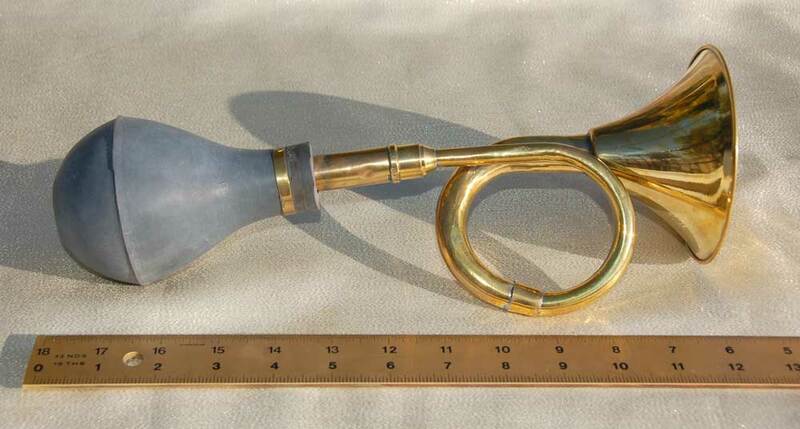 One 12″ medium loop squeeze horn. $32. Free US Shipping. Includes 1 attaching bracket. Hello there I have an old Bombay Bus Horn slightly larger than your example here with an 18mm brass pipe connected to the rubber squeeze ball. Do you do replacement squeeze balls please if not do you know of where I might acquire one? Perfect horn for my Harpo Marx costume…Thanks John! Headed For The Squonk Opera! Squeeze Horns on the Playa! Mike Bruns’ 8 Foot Cruiser! Reader KP Sends Some Great Pics of a Very Large Horn! Squeeze, or Bulb Car Horns! Squeeze, or ‘Bulb’ Horns Used To Be Everywhere!